Parenting isn’t easy, and we all know it’s not cheap. 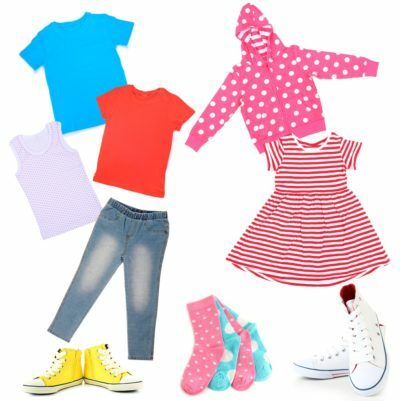 Outfitting your kids on a budget can be difficult, but it’s possible. I’ve come up with some tips in my years as a parent that can help you find the sweet spot you need for your child’s clothing without spending a ton of money on new clothes. I’ll share these tips with you and you can pick and choose which ones work for you. They won’t all work for everyone, but there are also great brands like Cotton On kids that have affordable necessities to keep your kids clothed and comfortable in areas where you don’t want to skimp. Layering is a style tip that works for everyone, not just kids. Layering makes every wardrobe more versatile. You’re prepared to take on any season with layers, you can pack less in your holiday suitcase by using layers to mix and match, and you will spend less on your child’s closet if you choose layers wisely. Choosing neutral colours for your child’s wardrobe is great for several reasons. Everything matches if you stick to neutral colours. Just like layering, when everything matches, you can mix and match outfits for more versatility. Not only that, but neutral colours where everything matches makes it so much easier for your child to pick out their own outfits. They won’t be overwhelmed by the options, they’ll simply be able to pick something from a limited selection and go. Your mornings will run so much smoother this way, and you may actually be on time for school. Ok, so the whole point of this post was to teach you how to minimise, but one of the best ways to minimise is to simply get rid of and not buy extra. Go through your child’s closet for things they never wear, and then don’t buy those styles or colours again, because they clearly won’t wear them. When in question, pass it up. Don’t buy the thing you’re not sure about and don’t worry about them not having enough clothes. If they learn to dress themselves on a small wardrobe, they won’t know any different and they’ll learn their own tips and tricks over time, making your minimising even easier in the days to come. ← Garden Goals For The Sporting Family: What DON’T You Want In Your Outside Space?